The Duluth school now known as Lincoln Park School is closing in June. Parts of the school have been on the site in what was once known as the West End since 1889, but only small parts of the original building remain. The Duluth News Tribune gave fine coverage to the impending demise of Lincoln in its May 23 edition, including a photo of the school as it looked in 1914, with a tower, slanted roof and ornate architecture similar to Historic Old Central High School – now housing central administration – downtown. Lincoln hasn’t looked anything like that since 1950 when the front of the original building was shaved off and the two wings of the “new” elementary were attached to part of the old structure. I went to the original school through 5th grade, so the picture brought back a lot of memories to me. Old Lincoln had received an earlier addition in 1915 when they built Lincoln Junior High right behind it in the square block bounded by 24th and 25th Avenues West and West Fourth and Fifth Streets, connecting the two buildings with one hallway. I went to the junior high too. We lived just two blocks away. That building disappeared in the 1980s. Along with its coverage of Lincoln’s history, the newspaper ran a sidebar on a legendary Lincoln Junior teacher, Petronella S. Murphy. Many faculty passed through Lincoln over the years, but Mrs. Murphy was a worthy teacher for singling out, if for no other reason than her odd first name. I’ve never known another Petronella. She was definitely older when I entered her 7th grade classroom in 1951. I’d guess around 60. With gray hair and matronly figure, she was a classic “old maid” schoolteacher, although she was married, earning her the then-rare Mrs. honorific at the school. A high percentage of the teachers then were women close to her age but unmarried, addressed as Miss: Miss Shong, Miss Carlson, Miss Hanson, Miss Gleason, Miss Merwyn, Miss Gilmore, Miss Bahnsen, Miss Anderson (known to kids as “Daffy”), Miss Swayze, Miss Page, Miss Paulson. But back to Mrs. Murphy. She was firm but nice as long as you were nice, and as long as you tried to understand the 7th grade arithmetic she taught. But nobody fooled around in her classroom, or, if they did, there were consequences. I witnessed her wrath once when a troublesome boy acted up. She marched over to his desk and grabbed his shirt so forcefully she tore the front off his body. What was almost as bad, he had to wait until the end of the school day for a relaxing smoke to calm himself down. The newspaper recounted a time in the 1930s when, for an unexplained reason, the students had gone “on strike,” and were congregating outside the school. They ignored the principal’s orders to return, but Mrs. Murphy, witnesses said, marched out, grabbed two boys by their ears and marched them back in. The others followed. People interviewed recalled her love of baseball, as do I. She would discuss it in class during the World Series in those pre-Minnesota Twins days. I hope she lived long enough to see pro baseball come to Minnesota. To the students, at least this student in those times, teachers seemed like omnipotent rulers, not fully human. Their lives outside the classroom were a mystery. No one even thought they had lives outside the classroom. One time, while waiting for a bus downtown, I spotted Mrs. Murphy among the dozen or so others waiting on the corner, and I couldn’t believe my eyes. It was the only time I’d ever seen her outside the school, part of the regular human race, waiting for a bus just like everyone else. Unbelievable. It hasn’t been decided what’s to become of the Lincoln building after the school district moves out. 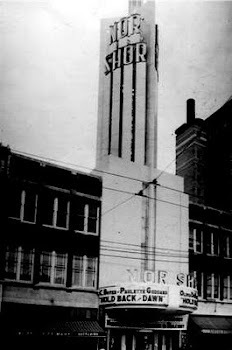 I have no nostalgic stake in it, having attended classes in only one part of the often-updated remaining building – the old industrial wing of the junior high where we took woodworking, printing, electricity, metalworking and music. I never excelled in any of those disciplines. Nor in math. Sorry, Mrs. Murphy, wherever you are. If we meet again up yonder, go easy on me, huh? So Bob Dylan is 70. Welcome to the septuagenarian club, Bob. I got there a year and a half ago, so we’re rough contemporaries. Born in the same town, delivered by the same doctor, if a book I saw that in can be believed (it was a pulpy paperback), he at St. Mary’s hospital, me at St. Luke’s, if my birth certificate can be believed (it had my name wrong). Around then our paths diverged. All of the hoopla over Dylan’s 70th birthday has reminded me that I never “got” his art. Sorry Bob. Not that he’d care what I got or didn’t get. Only in my advanced age have I recognized that he is truly exceptional as a thinker and writer (maybe a genius as some say? ), but not a singer – not by my singing standards anyway. Stay tuned. A fascinating column in today’s New York Times (May 24) by David Hadju, a journalism professor at Columbia University who has written a book about Dylan and his contemporaries, posits that his generation of performers – and there are many notable ones – hit puberty right at the dawn of the rock ‘n’ roll era, smack dab in the middle of the 1950s when Elvis Presley changed everything. Hadju says psychologists believe that age 14 or so is when we develop musical tastes that “become a badge of identity,” almost always odds with previous generations’ tastes. Hadju includes a Dylan quote that strongly backs this theory: “When I first heard Elvis’s voice I just knew that I wasn’t going to work for anybody and nobody was going to be my boss. Hearing him for the first time was like busting out of jail.” Dylan was about 14 when this music largely wiped out everything that had gone before it in pop music culture. Who else was about 14 then? Hadju lists some of them turning 70 this year and next: Joan Baez, Paul Simon, Paul McCartney, Aretha Franklin, Carole King, Brian Wilson, Jimi Hendrix and Jerry Garcia. Some, gratefully, are already dead, of course. What about me? I was about 15 at the time, and I liked Elvis when I was in high school, but it was too late for me, and Hadju’s theory might explain why I was not an admirer of Dylan’s singing or his music. 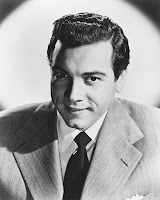 A couple of years before, I heard a singer who forever changed my perception of what singing was supposed to be: it was Mario Lanza. I saw the movie starring tenor Lanza as “The Great Caruso” at about that age and when he sang “Vesti la giubba” from “Pagliacci” I was a goner. From that day forward I judged all male singers against that standard. No one could compare, although I had to admit Elvis had a passable baritone, and I came to enjoy Frank Sinatra when I got a little older. Bob Dylan? Hello? With that raspy, crackling voice, I never gave him a chance. I know now I was missing some pretty impressive poetry, and even profound expressions that have had an important influence on our times, particularly at the dawn of the civil rights movement of the ‘60s. How stuffy – uncool – is that? Early teenager likes opera music? I found a couple of operatic sopranos of that era to admire as well – Dorothy Kirsten, Roberta Peters, not pop artists Carole King or Aretha Franklin. Lanza died at age 38 in 1959, the year Bob Dylan graduated from Hibbing High School and set out to change the world. Lanza’s recordings are still sold in stores, a pretty lasting legacy for a guy who’s been dead for 52 years. I’ve got a feeling Dylan’s legacy will be longer than that, but you never know. In any event, neither he nor I will be around to find out. This surely must be a good time to reprint my poem that tells the tale of our very own weather story. As you listen to the wind chimes, you'll know that the mighty nor'easter proclaims its power over us once again. So... grab your sweater or a jacket as you head out the door 'cause it's definitely "Cooler Near the Lake" this spring in the Zenith City called Duluth. And folks who’ll go to bat. That it’s cooler near the lake. It’ll be cooler near the lake. If you think you’ve got it in ya. And it’ll be cooler near the lake. When it’s cooler near the lake. That they’re no-good dirty --------. He’ll ask my home, I reckon. "Cooler Near the Lake" is also the name of my book containing a collection of 52 of my classic newspaper columns, including this poem. It's for sale at local bookstores as well as on line at Amazon and Barnes and Noble. 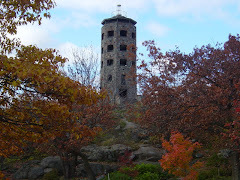 Special sale pricing is available for book signings and events. By request, this poem is regularly posted at the bottom of my blog page. Thanks for reading! A comment by Pat, a reader from St. Paul, to the previous post about the book, "Forgotten Duluthians" by David Ouse mentions Lorenzo Music. Jerry Music (later changed his name to Lorenzo Music) and his wife Myrna Johnson Music (later changed Myrna to Henrietta) attended UMD and were college friends of mine. Lorenzo, who died in Beverly Hills in 2001, led an interesting show business career. Some of you might remember him as the voice of Carlton the Doorman on the old Rhoda TV show and the voice of Garfield the Cat in animated programs. Lorenzo became a respected writer for comedy programs that included the Smothers Brothers Comedy Hour, Mary Tyler Moore Show and more. He was also known within the show biz community as an outstanding "warm-up" for the live audiences prior to The Mary Tyler Moore Show and as a creative contributor to show business. Lorenzo regularly returned to Duluth throughout his career and I often met with him over a cup of coffee to bring our lives up to date. His wife, Myrna, was a shirttail relative of mine. To learn more about Lorenzo and his interesting show business life, check out a good link HERE. 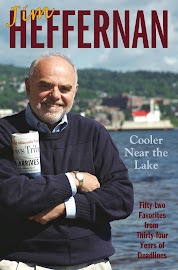 I stumbled by happenstance across a book published last year, “Forgotten Duluthians,” that triggered a lot of memories. The book is by David Ouse who runs the reference department at the Duluth Public Library, so it’s pretty well researched. Somehow “Forgotten Duluthians” came out in 2010 without reaching my radar screen. But it’s just as good a read in 2011, and will be on into the future, forever clearing up myths about some past Duluthians, and introducing some of today’s readers to past residents of the Zenith City they didn’t know about who went on to make something of themselves while leading fascinating lives. I’d heard of the majority of the subjects, both famous – Lorenzo Music, the voice of the Garfield cartoons, was pretty well known – and not so well known today. One of these was Sidney Buchman, a Hollywood producer whom I recall hearing about when I was a child, but haven’t thought of since. Buchman was born here in 1901, was graduated from Central High School and ended up in Hollywood in the early 1930s, starting out as a writer for Paramount studios, later becoming a producer. He died in 1975. What jogged my memory about him was his involvement in the production of the movie “Jolson Sings Again,” a sequel to “The Jolson Story” that had come out a couple of years before. These hagiographical biopics told an idealized version of the life of singer Al Jolson, a performer nearly forgotten today but who was a huge Broadway star in his prime in the 1920s and 1930s. He performed in blackface, singing songs like “Mammy” and “Sonny Boy,” anathema for any artist today. Jolson is credited with being the star of the first sound movie, “The Jazz Singer,” in 1927. 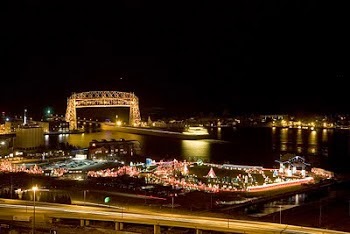 At the time, Duluth was abuzz with this scene, and, according to “Forgotten Duluthians,” producer Buchman was honored with “Sidney Buchman Day” in 1950. He made several appearances here, including at Central High School, still at the downtown site. This is just one of 39 brief profiles making up Ouse’s book, each one fascinating in its own way. Yes, Dorothy Olson is in there. She had a brief screen career as Dorothy Arnold but is best known as the first wife of Joe DiMaggio and the mother of his only son. Hers is another story, though, best read in this interesting book, only available for sale through the Duluth Public Library with proceeds going to the library. 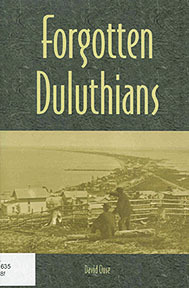 For information about how to purchase this book, Forgotten Duluthians, click HERE at the Duluth Public Library gift shop web site for the book.